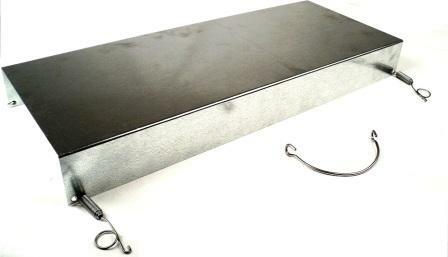 This galvanized trap cover fits all 15'' wide traps. It has spring clips on each corner to hold it in place. 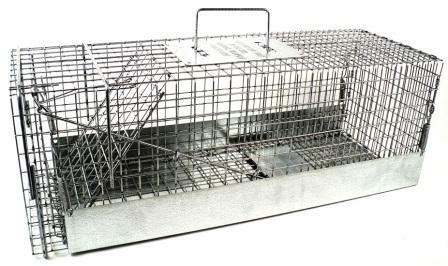 This cover can be applied to the top or bottom of the trap. 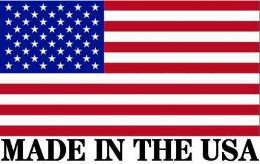 Attaching to the bottom prevents animals from damaging roofs, decks, and other valuable items. Attaching to the top helps protect animals from the elements and protects handlers from bites and scratches. 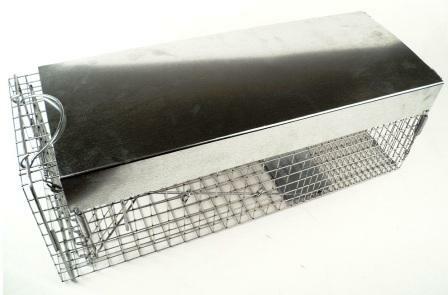 This metal trap cover fits all 15" Wide Traps.